2014 national elections in Costa Rica represents the end of the political era inaugurated in the late 1940s and early 1950s. The country has had a reputation of being an old and stable democracy in Latin America. Three main factors in the last decade have transformed the path party system has followed leading the political system into a paradoxical situation. First, individuals’ attachments to parties are weaker and have been replaced over time by careful scrutiny of the candidates and their proposals. Nowadays, uncertainty and volatility governs individuals’ electoral preferences. Second, there is an increasing trend toward more fragmented representative bodies pushing parties into a complex coalition building and bargain scenario. Third, parties’ nationalization scores are at their lowest levels in 60 years. The combination of these aspects would lead not to the imminent collapse of the Costa Rican political party system but expose it to a “turbulent” period of time. 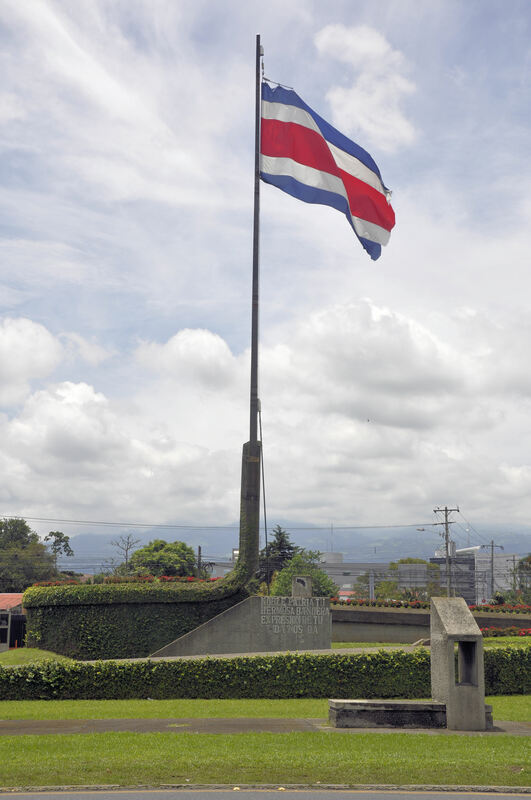 On Sunday February 2nd Costa Rica held the sixteenth consecutive elections since 1953. Voters chose a president, two vice-presidents, and 57 representatives in the national assembly.1 Surprisingly, the Citizens’ Action Party (PAC) won the first round election with 31% of the votes and the run-off contests two months later by a landslide. The incumbent party National Liberation Party (PLN), the oldest and the most organized one, obtained its lowest proportion of votes ever. In the legislative contests, seats were allocated among nine parties, the highest in 60 years with no one controlling the majority of representatives. The elections were held under the most adverse political context characterized by a significant decline in public support for the political system and political institutions. As a result, one third of the voters did not show up at the polls. a/ Others include 8 political parties in the presidential election and the 16 remaining parties in the legislative election. Source: elaborated by the author based on information provided by the Electoral Supreme Court. One third of the electorate (32%) did not cast their votes, the fourth highest rate in 60 years after those reported in 1953, 1958, and 2006. As in all electoral contests since 1953, the abstention rate in the peripheral provinces were higher than the national average, exceeding even the 40% of the electorate in some of them. These provinces are also the regions with the lowest levels of human development and the least opportunities, two factors that may account, at least partially, for the political participation gaps across country regions. Traditionally, voters who do not make it to the polls are the younger males and residents of coastal and border regions. Thirteen candidates competed for the presidency. The center-left Citizens Action Party (PAC, created in 2001) won the February election with 31% of the valid votes, an insufficient proportion of votes for not holding a runoff election two months later. National Liberation Party (PLN), traditionally a social democratic party and today a centrist one, came in second with 30% of the votes. A left-wing party -Broad Front- (FA), obtained 17% of the votes in the third position. The Libertarian Movement (ML), a right-wing political party that participated in its fifth election came in fourth with 11% of the votes. Finally, the Social Christian Party, a center-right party obtained merely 6% of the votes. One of the most relevant outcomes of the 2014 national election was the outcome of the left-wing Broad Front party. This party was created in 2004 as a provincial one and later was transformed into a national party. FA had gained only one seat in the congressional election in 2010 and one municipal council member in the whole country. Despite its low electoral support in the previous election, the FA candidate, a 36 year-old lawyer, proved to be successful in gathering electoral support among the youngest generation of voters on a platform criticizing the continuity in the Executive. In fact, FA was the second most voted party in the peripheral provinces and obtained at least one seat in every one of the seven electoral districts. The Citizens Action Party won the first round by a close margin (31% versus 30%). Its candidate, an academic with little political experience and unknown to most voters, was not a favorite in any of the polls conducted before the election. Two months before the election the polls showed a significant increment in the FA prospects accompanied by a decline in the support of the incumbent party candidate. By that time, around 40% of the electorate declared themselves undecided. Mass media framed the election as one polarized contest between the FA and the PLN. Immediately, the incumbent party aired negative ads against the FA candidate describing him as “communist and Chavista”. Undecided voters reacted showing greater interest in the debates and scrutinizing candidates’ platform of ideas more carefully. This situation benefited the candidate of the PAC who showed a moderate position during a campaign that challenged candidates and parties to break the political inertia that prevails in the political system. The PAC obtained 19,232 more votes (0.93%) than the PLN, the third smallest margin of victory in Costa Rican electoral history. Despite the fact that PAC has received more support over time, the party has been incapable of achieving homogenous support across country. PAC was the most voted party in urban, more populated and more developed regions. On the other hand, PLN gathered support from peripheral provinces characterized for being bigger extensions of territory, lower population density and underdeveloped regions. Those regions were traditionally under the control of the PUSC. The combination of these results confirm the displacement of the dominant political forces in Costa Rican politics from the traditional center-center/right (PLN-PUSC) into a new center-center/left with a more prominent role of the FA-PAC. PAC had been the second most important party in 2006 and 2010 and its landslide victory in the run-off election puts the party in the paradigmatic situation: strong control of the Executive and less than one third of the legislators in Congress. According to the final results of the first round, PAC won 36 municipalities (44%) whereas PLN controlled 43. The other two were under the control of the FA. As in the 2006 national elections, the PAC gathered most of its support in the four provinces of the Central Valley but came fourth most voted party regionally. Again, obtaining homogenous electoral support across the country constitutes one of the biggest challenges this party faces. Paradoxically, the party that won the first round election is the one that exhibits more difficulties for achieving “national” support. The run-off election was scheduled for April 6th two months after the first. On March 5th Johnny Araya, the incumbent party candidate, unexpectedly decided to abandon the campaign and virtually concede the election to his opponent producing chaos within the party. Luis Guillermo Solis, the PAC candidate, self-establishes a one million vote threshold (one third of the electorate) and designs a campaign to mobilize as many voters as possible for avoiding winning an election with a very low turnout. Solis obtained 1.3 million votes and won the election by landslide, 78% versus 22%, the biggest margin of victory ever. Turnout rate in the run-off was 67%, slightly lower than the rate in 2002 of 71%. Legislative elections in Costa Rica are held concurrently with presidential elections. According to the electoral returns, PLN’s number of seats diminished from 24 to 18, PAC’s legislators increased from 11 to 13, FA exhibits the biggest increment from 1 to 9, ML got 4 congressional seats and PUSC obtained 8 seats. The other three parties gained one single seat. 2014 represents the sixth electoral contest since 1994 with no party controlling the majority of seats (29 legislators) forcing them to bargain and build coalitions for governing and enacting legislation. The National Assembly for 2014-2018 is characterized by being the most fragmented with nine political parties represented exceeding the eight parties represented in 1974-1978 and 2006-2010. The historical ideological composition of Congress (1953-2014) reveals the rise of the left and center-left parties that have become the dominant forces in 2014. However, right and center-right parties show a decline over time. Elections for mayors and municipal councils were unified and scheduled for February two years after the presidential and legislative contests. Costa Rican Political Scientist. Master of Arts in Quantitative Methods in the social sciences. Columbia University, New York, USA. Master of Arts in Political Science. University of Pittsburgh, Pennsylvania, USA. Doctoral Student in the Political Science Department. University of Pittsburgh, Pennsylvania, USA. Main author of the Americas Barometer in Costa Rica. Researcher in Programa Estado de la Nación. Professor in the Political Science Department. University of Costa Rica.